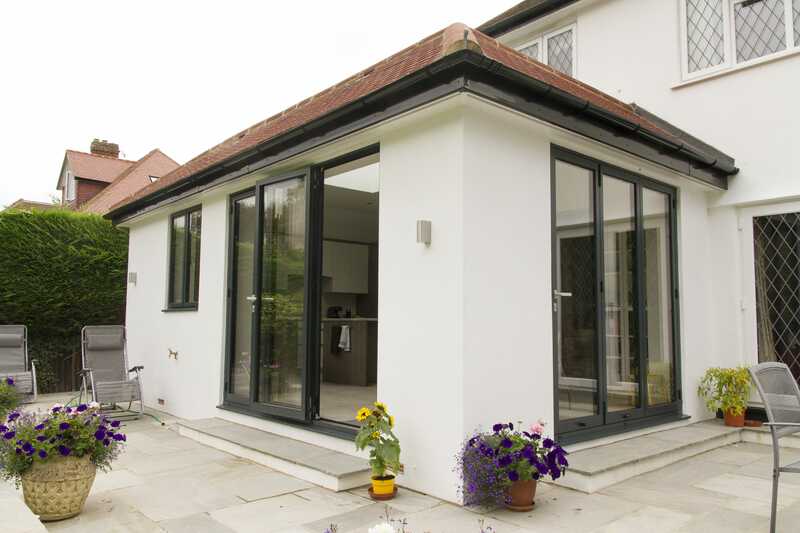 If you’re looking to add a little daylight to your home, here at Surbiton Glass, we have you covered! 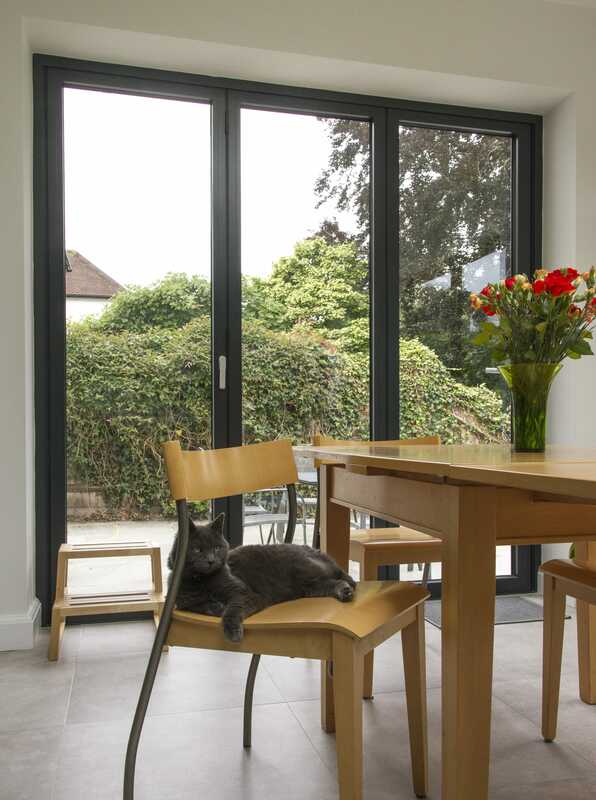 Offering a modern and refined feel to your interior, our doors are designed to operate at ease, with a sleek and glossy feel, they add a touch of elegance and luxury to your home. We also offer a 10 year installation guarantee! 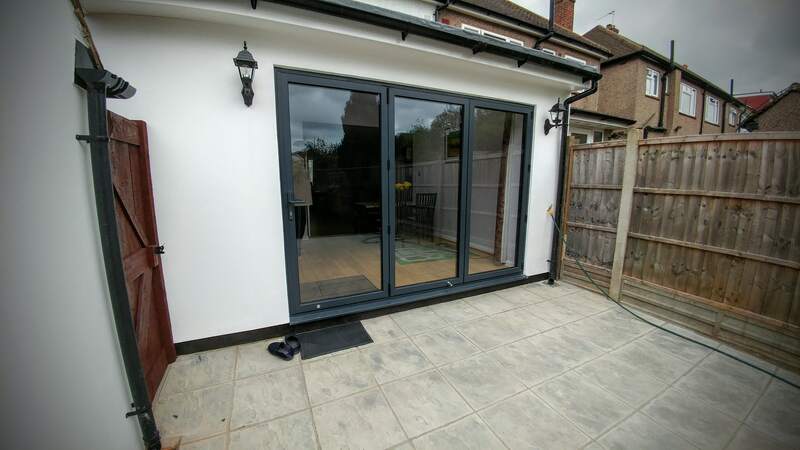 Surbiton Glass are offering both, sliding and bi-folding doors in the town of Wimbledon, a district in South-West London. 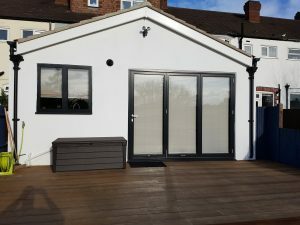 So, if you’re a local resident looking to make the most of your garden view, our team at Surbiton Glass have the services to transform your home today. The professionals here at Surbiton Glass are trained and have years of experience in the installation process of our doors. It is recommended that you seek help from our specialists to guarantee the outcome is what you expected – this is also an advantage for you because it eliminates all stress on your behalf. 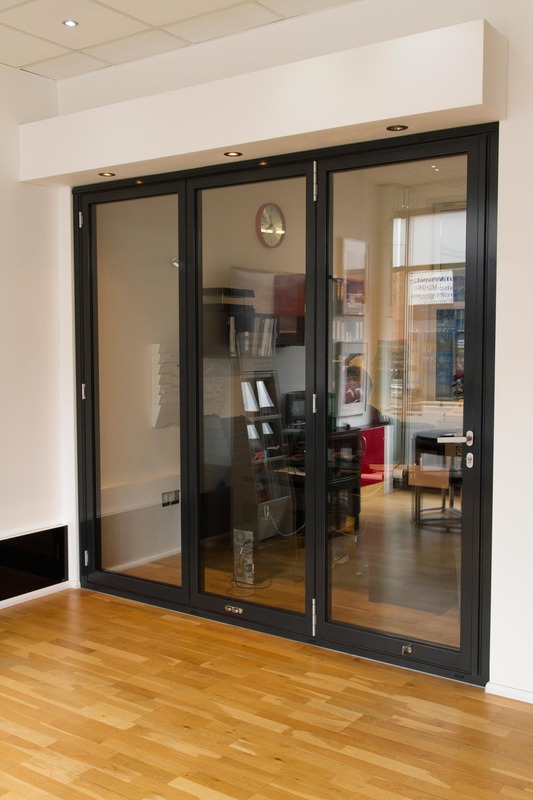 The operation of the doors is easy, fast and effective; the sliding and folding effect makes for simple use, making them the perfect addition to your home. 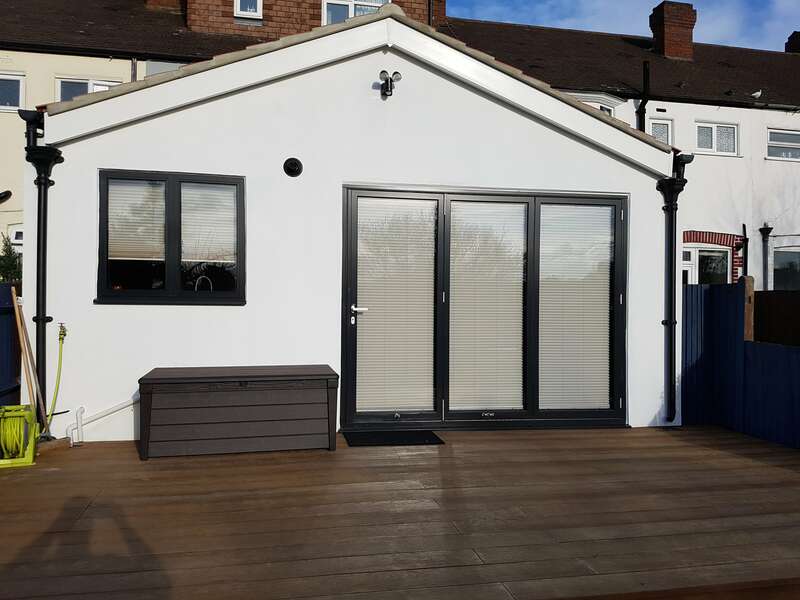 We like to keep the time it takes to fit the doors to a minimum, so it doesn’t encroach on client’s weekdays or weekends, but we always ensure the doors are fully secure and have been fitted appropriately. Once the doors have been installed, they will be ready to use straight away – they can be maintained very easily. 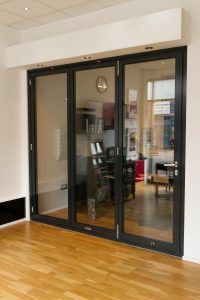 Considering that they aren’t your usual door, many people may think that they be difficult to use and get to grips with, but, the process of opening and closing is straightforward and trouble-free. 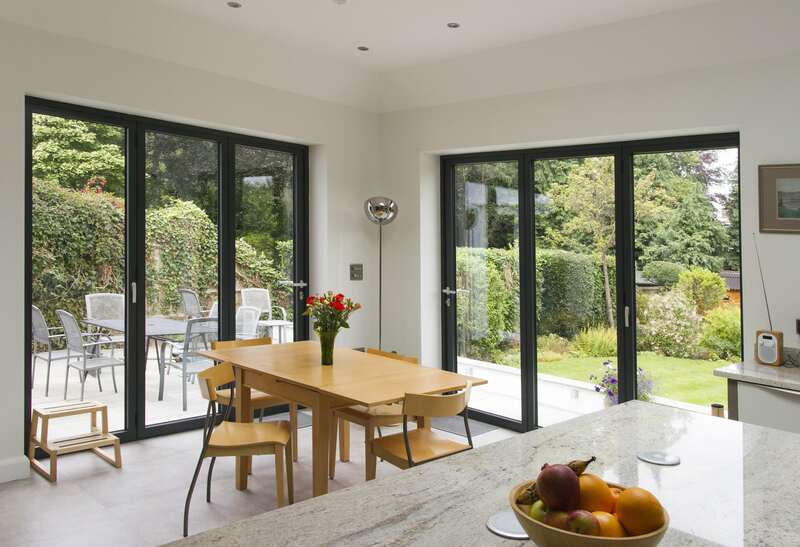 Why choose Sliding or Bi-Folding Doors in Wimbledon? 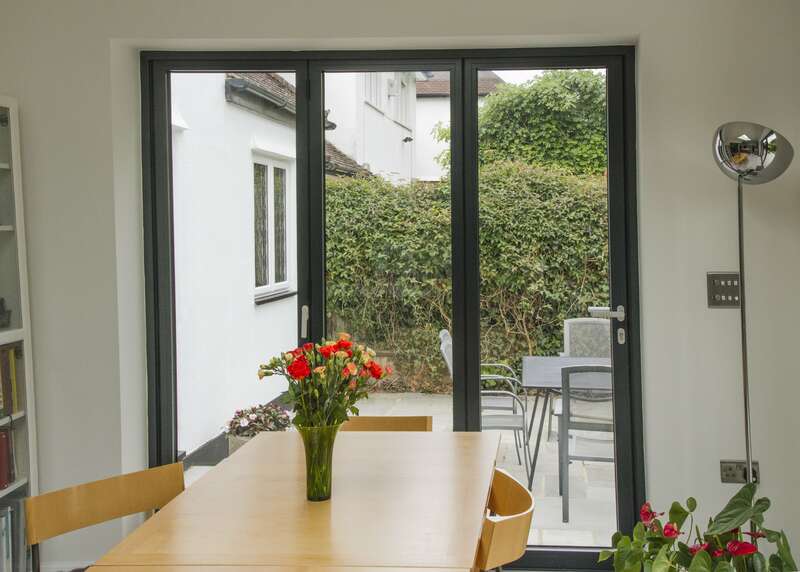 You spend a lot of time in your home, and for that reason, you want to ensure you are 100% happy with the look and feel of the interior. 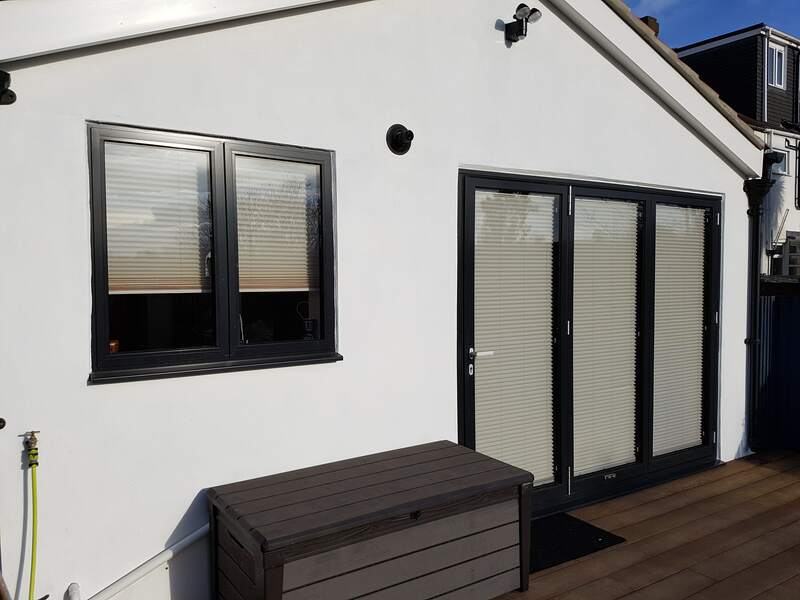 The sliding and bi-folding doors we offer are of the highest quality, and our team can tailor them to suit the exact look and feel of your home. 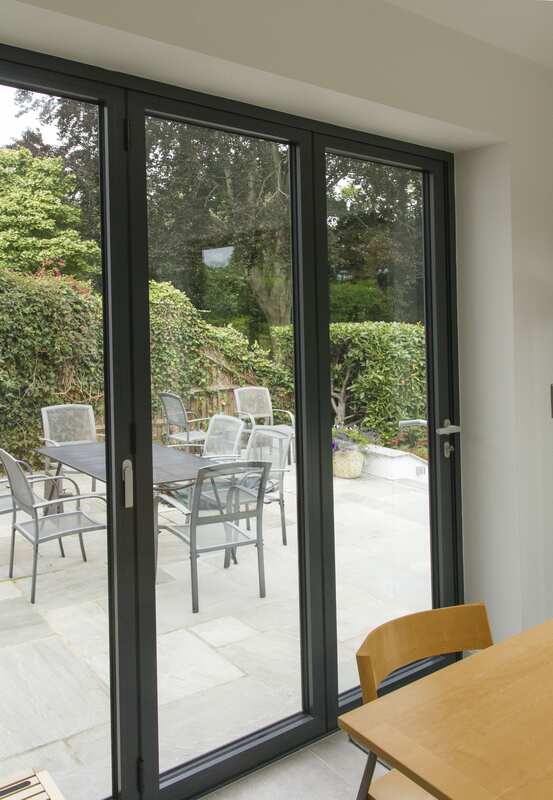 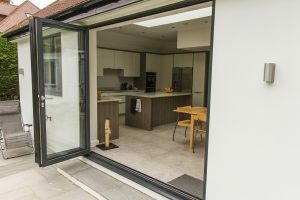 Many people may think that sliding and bi-folding doors are the same, however there are several features which are different, and this is an important factor to be aware of before having them installed into your home. 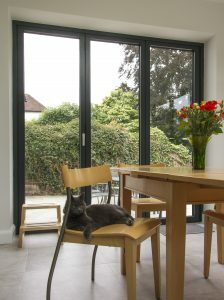 Sliding Doors: The sliding doors we offer in Wimbledon are specially designed to suit the interior of your home. 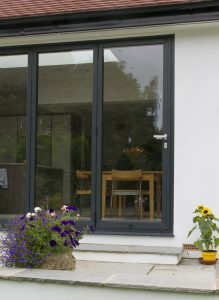 By adding a hint of class and sophistication, they will transform the overall appearance of your homely features. Sliding doors will simply slide across a track allowing for easy and fast functionality, as well as an increase in space which is beneficial for those with smaller, less spacious houses. 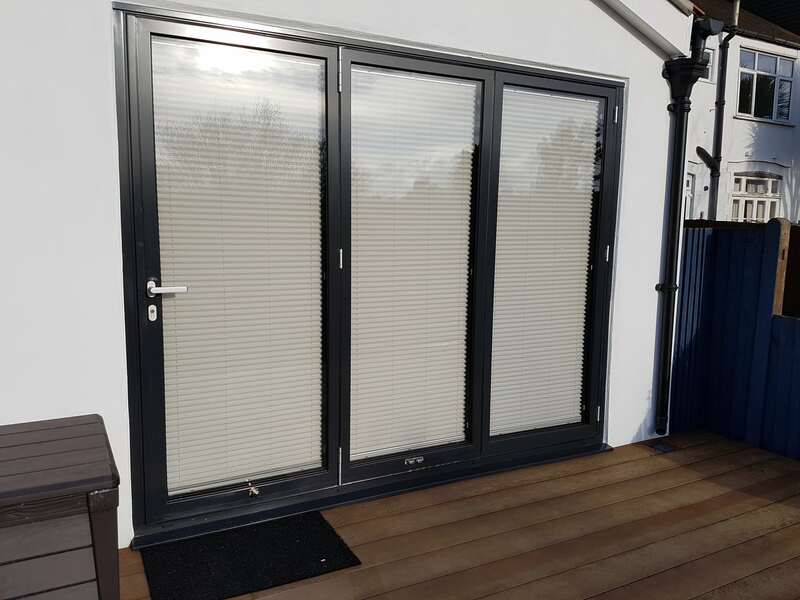 Bi Folding Doors: Bi-folding doors fold back on themselves, they can be stacked internally or externally and offer a further increase in space. 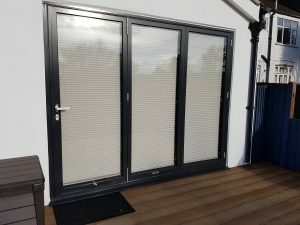 If you have a vision in mind of what you would like your doors to look like, our team are more than happy to help so with any specific preferences you may have, feel free to ask. 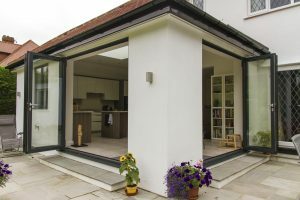 What will Sliding, and Bi-Folding Doors add to my Wimbledon home? 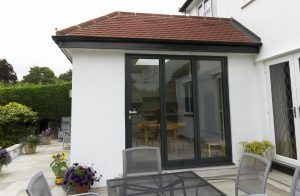 There are a variety of different benefits of having sliding and bi-folding doors installed into your home in Wimbledon. 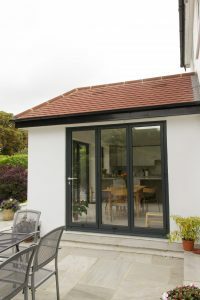 You may think that doors are a tiny aspect of your home, but you will only appreciate their true and sheer beauty once they have been installed – appearance is one of their many benefits, alongside a multitude of practical advantages. 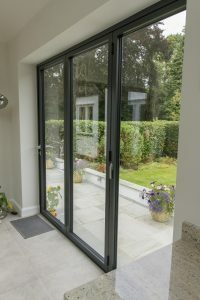 Insultation: If you have doors which currently let lots of air into your house from the outside, this can become frustrating during the winter months as you may be paying to heat and insulate your house for this heat to be dissipated through the door, making the money spent on heating bills pointless and unnecessary. 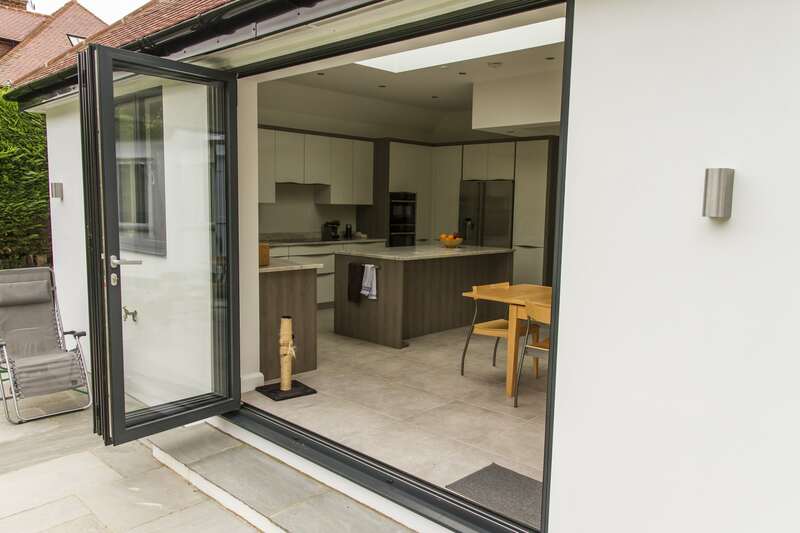 Surbiton Glass offer sliding and bi-folding doors which are built with ‘thermal breaks’ which are designed to keep and enclose the warmth into your home, preventing any possible draughts from entering inside. Accessibility: When having something installed into your property, you want to make sure that they are going to provide you with easy access in and outside of your home. Our doors are designed specially to glide seamlessly along the track for a user-friendly experience, this is especially important for families with young children as their safety is key. If you have been looking for a cost-effective way to transform your home but haven’t figured out the best addition, our doors are the perfect option for you. 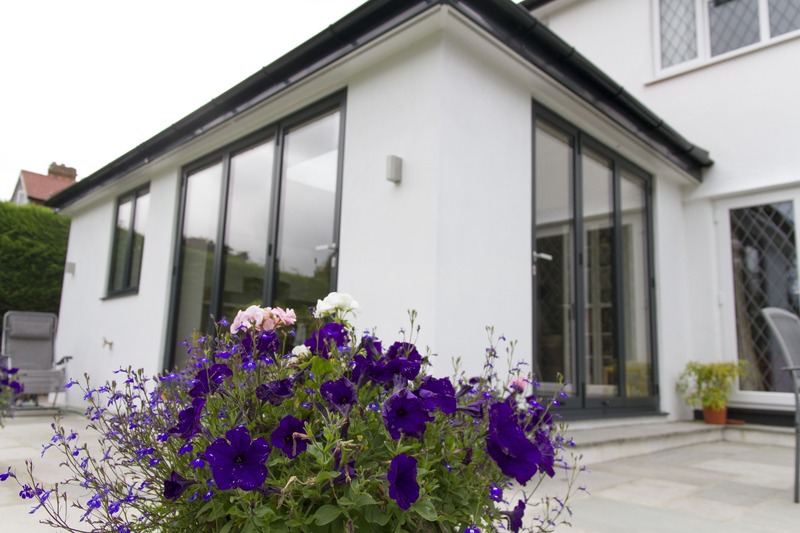 The service we offer is reliable and fast, our customers always come first. 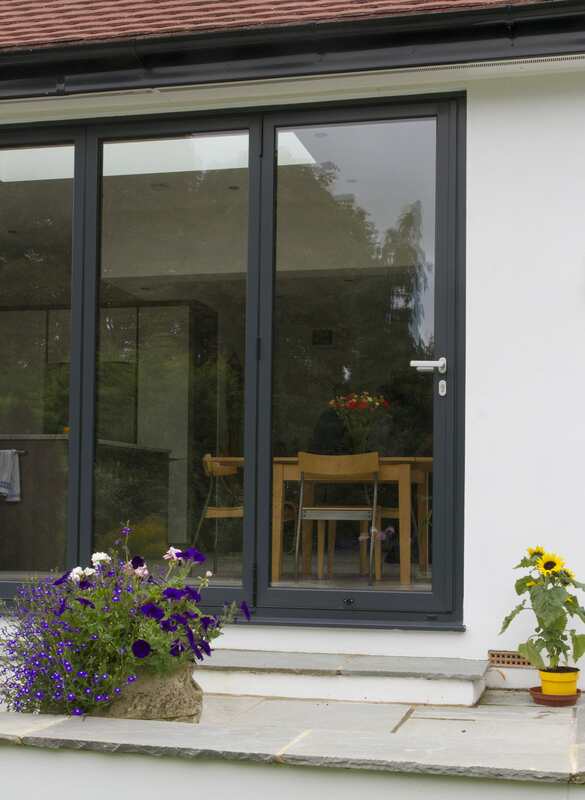 To enquire about our sliding and bi-folding doors, you can browse our website to find out more.